Children enjoying the Morag Myerscough installation, The Club Under My House, at the Art Block, 2017. Photo: Andy Stagg. 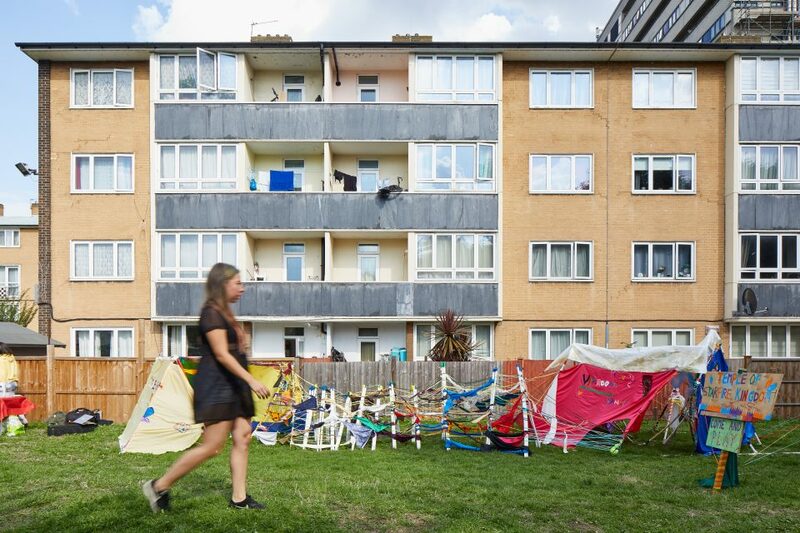 Open Plan is a long term public art and education project which invites international and British artists to create artworks with and for the SLG’s close neighbours on Elmington, Pelican and Sceaux Gardens housing estates, along with a programme of events at the gallery. Building on the gallery’s work with local residents over the past decade, Open Plan aims to further challenge notions of what culture can do and who can be involved in it. 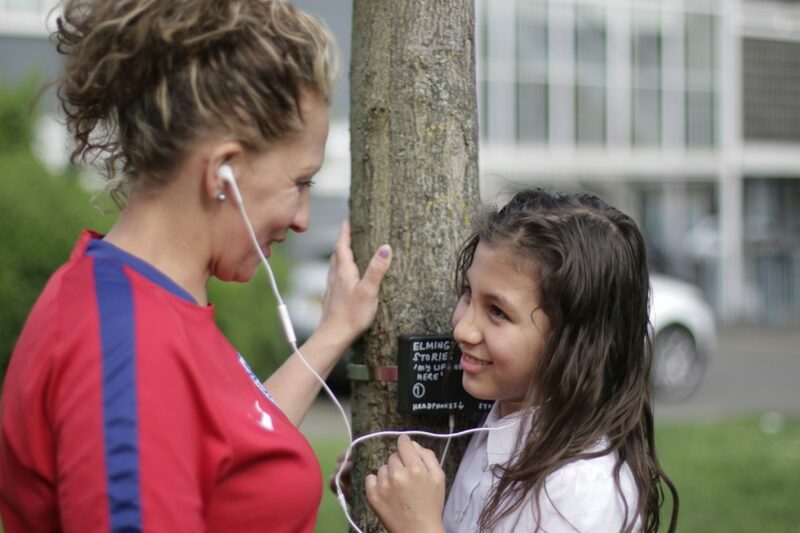 Each year on Pelican estate, two artists will produce ambitious original public artworks inviting residents to experience and participate in the production of the work. 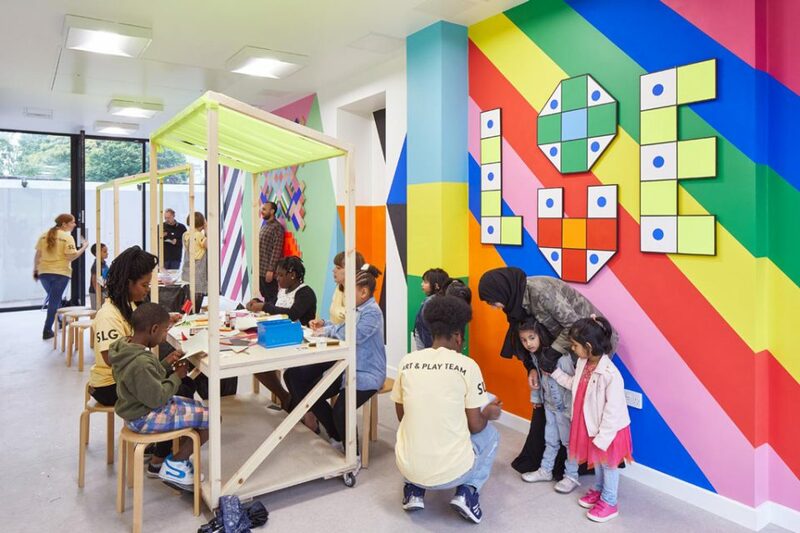 Open Plan also provides a new creative space on Sceaux Gardens estate, Art Block, a place for local children and families to make things, be creative, and play. Art Block also hosts two artists’ commissions a year which visually transform the space. 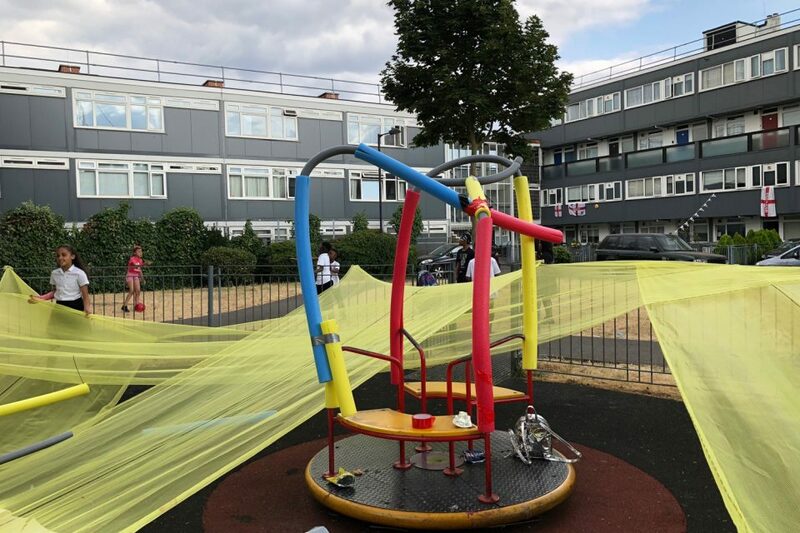 On Elmington estate the SLG’s Art & Play team work with emerging artists to deliver free outdoor after-school activities on Wednesdays during term time. At the heart of the Open Plan is a full time gallery traineeship aimed at young people who are looking for alternatives to studying at university. The training programme offers a range of experience across the SLG’s operations whilst providing a focus on the work with artists and residents on the estates. To find out more about Open Plan please contact Jack James, Residents’ Programme Manager jack@southlondongallery.org or call +44 20 7703 6120. 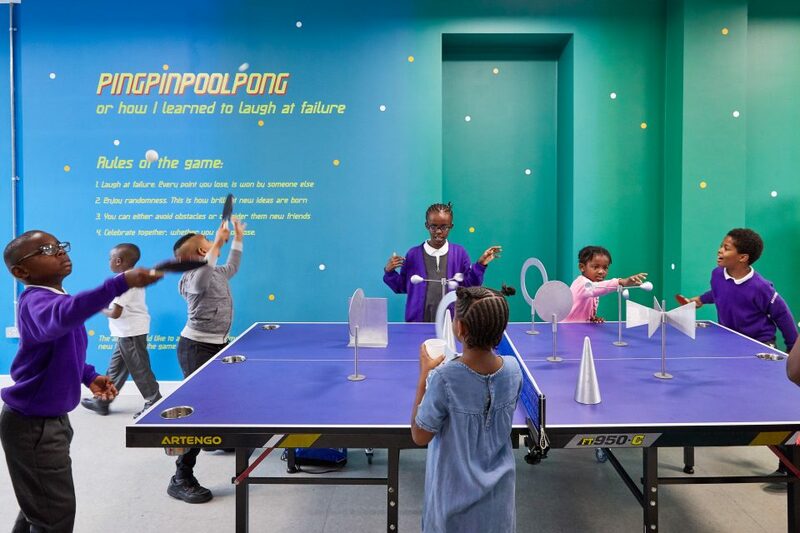 Open Plan is supported by the Freelands Foundation, with additional funds from Southwark Council’s Youth and Play Grant Programme and other donors. 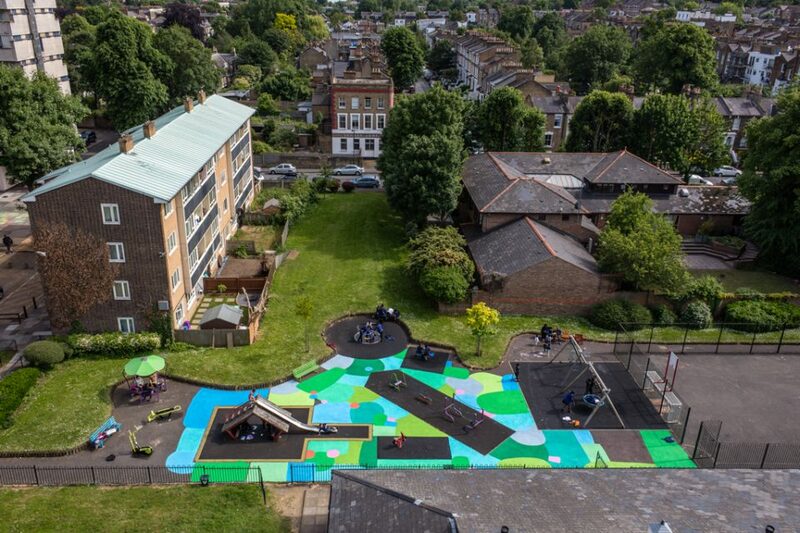 Art Block is a free space on Sceaux Gardens Estate for local children to make things, be creative and play. 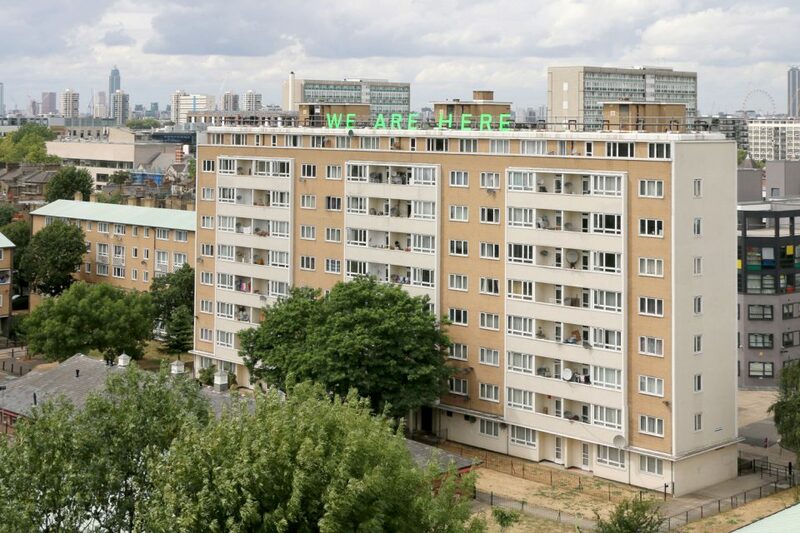 For the inaugural Open Plan residency on Pelican Estate artist Jessie Brennan launched YOUR WORDS, a project that invited residents from Pelican to share their experiences of life on the estate. In autumn 2017 Gabriel Lester was invited by the Pelican Plus Tenants & Residents Association and the South London Gallery, to propose a new public artwork for Pelican Estate. This spring on Elmington Estate artist duo KALEIDOWORKS will lead a project entitled Films For The Future. SLG Local brings together a number of projects with a focus on creating relationships with audiences within walking distance of the SLG. 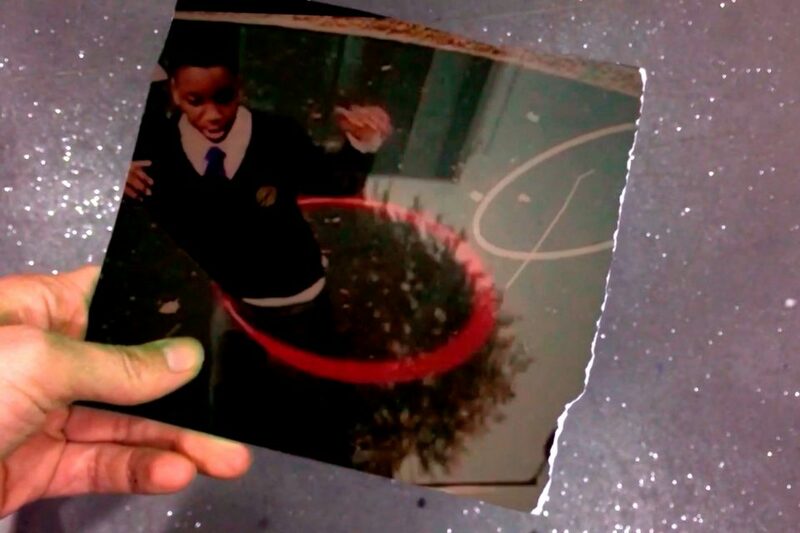 This spring term sound artist John Macedo has been mapping children’s memories and experiences of growing up on Elmington Estate during the Art Block on Elmington play sessions. 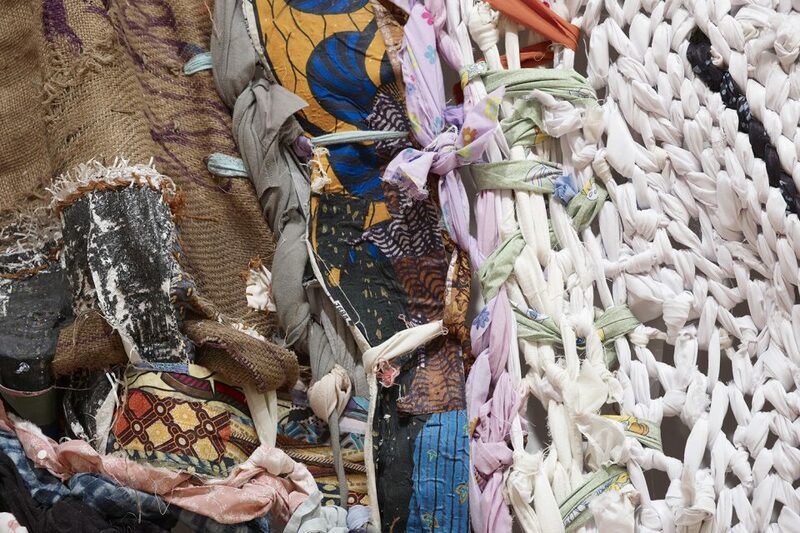 Shepherd Manyika explored ways of decorating or shifting the ‘interior’ design of Elmington Estate’s playground, through weekly experimentation with colour, pattern and scale. Angélica Teuta will bring her collaborative practice from Colombia to Peckham for a summer of activities for local children and families. 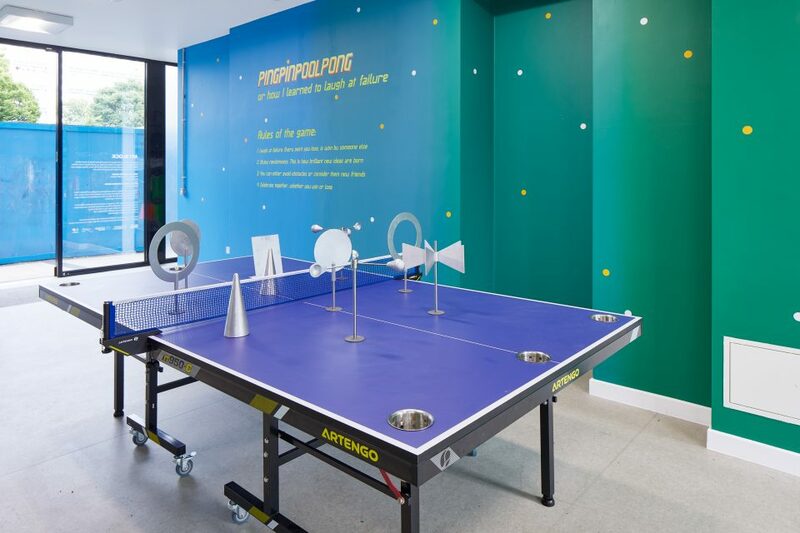 Artist Basim Magdy has created a new sport combining elements of ping-pong, pinball and pool for his commission at Art Block.